Spoiler season is officially underway for Elder Dragon Hangover! What's that, you ask? 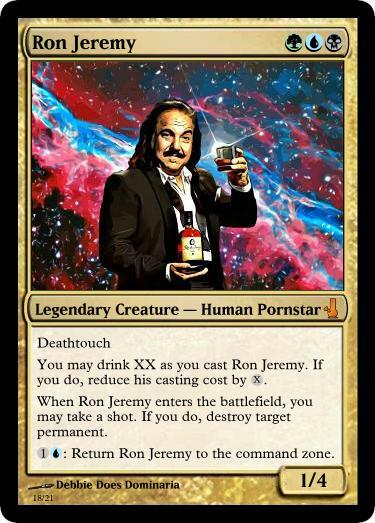 Basically, it's just regular EDH/Commander but Booze Cube cards are legal. And let me tell you, it's an amazing format that you need to try for yourself. One of the best things about this format is its accessibility. You can keep several Elder Dragon Hangover decks built, let your friends pick one, and start playing immediately. This is especially nice for including less-experienced players who may be intimidated by a full cube draft. And of course, players are free to use their own EDH decks as well. Follow me on Twitter at @theboozecube to see the latest spoilers!